People who ride their bikes on the street must share the road with cars and follow the rules of the road. This means signaling for turns, just like a car, but without the convenience of turn signals. 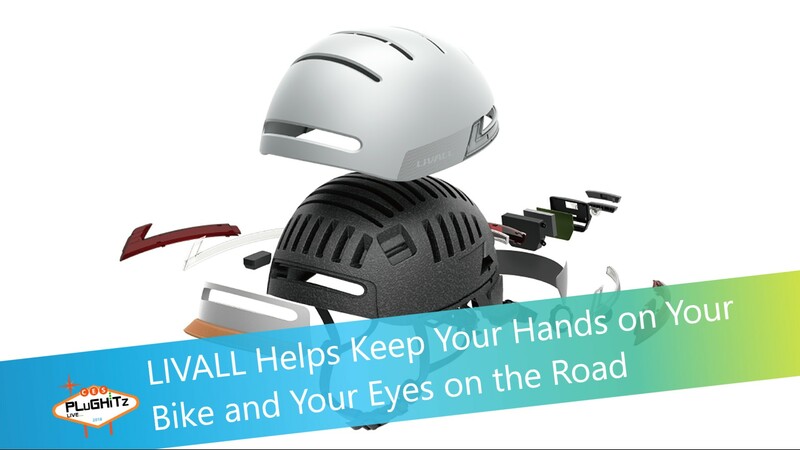 LIVALL has created a product, the Helmetphone, which protects your head and keeps your hands on your bicycle. This helmet has turn signals built into the sides and back, making your intentions known to drivers around you, with controls on your handlebars, leaving you in control of the vehicle. In addition to the convenience and safety of turn indicators, the product also has a myriad of other convenience and safety features. For example, it includes a hands-free phone system, including speakers and a microphone, to allow the rider to make and receive phone calls without the need to interact with their phone. Once again, this keep your hands on the bicycle and eyes on the road. If you are in near proximity to the recipient, you can also use the built-in 2-way radio to communicate with another party, using the same speakers and microphone. You can also use the speakers to listen to music right in the helmet. All of these features take advantage of the handlebar controller to interact with the helmet. There's a lot to like about the Helmetphone, but possibly the best feature is the built-in SOS capability. If the helmet detects a fall, it can automatically send a message to a contact chosen as your emergency contact, letting them know that something might be wrong. The contact can then decide how to proceed. The Helmetphone and other LIVALL smart helmets are available now, starting at $129.